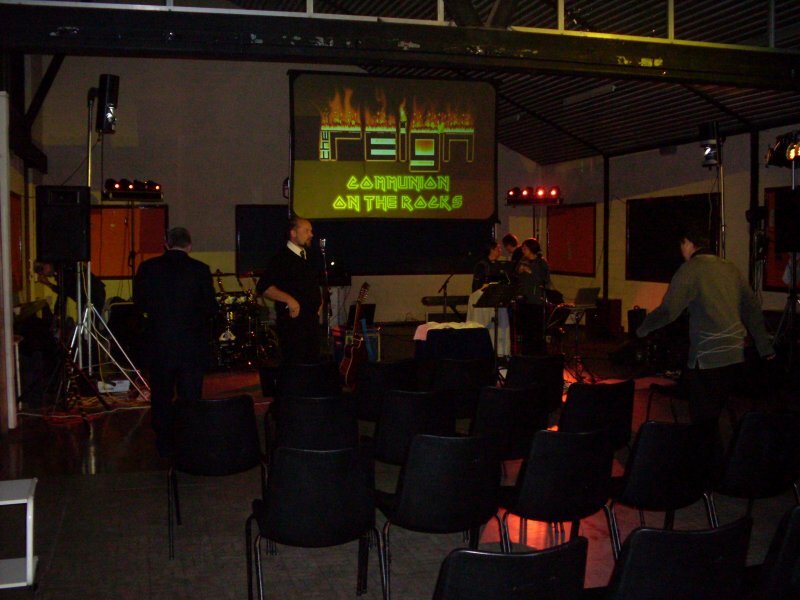 The Autumn 2011 series of Communion on the Rocks events is now complete, with four events across October and November giving a distinctly local flavour to proceedings, in stark contrast to the nation-trotting Spring series. There is a nice review of our recent event st St Martin’s Church in Canning Town in the Chelmsford Diocesan newspaper. You can download the PDF of this edition here, and the review is on page 2, and below. A few weeks off before breaking out the guitar in anger again (really must get it re-strung this time), and time to reflect on how things are hanging in the RE world at the moment. After leading us in 26 events over three and a bit years, the final chords of Robin Marks’ Revival brought down the curtain on Rachel Ganney’s tenure at our first ever RE event in Greatfield and, with our shorter that usual Autumn season behind us, I would like to take a few moments to reflect on what was an emotional evening for all of us. I think it is fair to say that without Rachel and Paul, the RE probably would not exist. 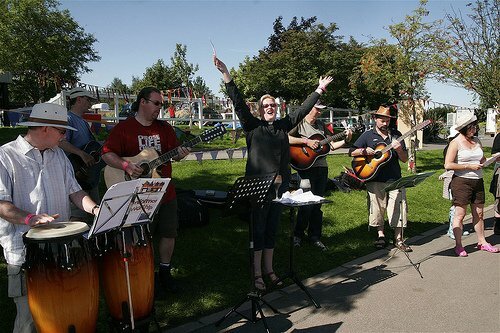 It was originally Paul’s brainchild … in fact, if memory serves, I believe he was talking with the Greenbelt worship team and rather opportunistically announced that we could do a Rock Eucharist for the festival if they wanted it. When they said “Yes”, Paul, Rachel and I had to get around a table and decide what one of those actually was and how we might pull it off. Even then, it is hard to see where it might have gone without Paul being married to a Minister who was just crazy enough to agree to lead one. 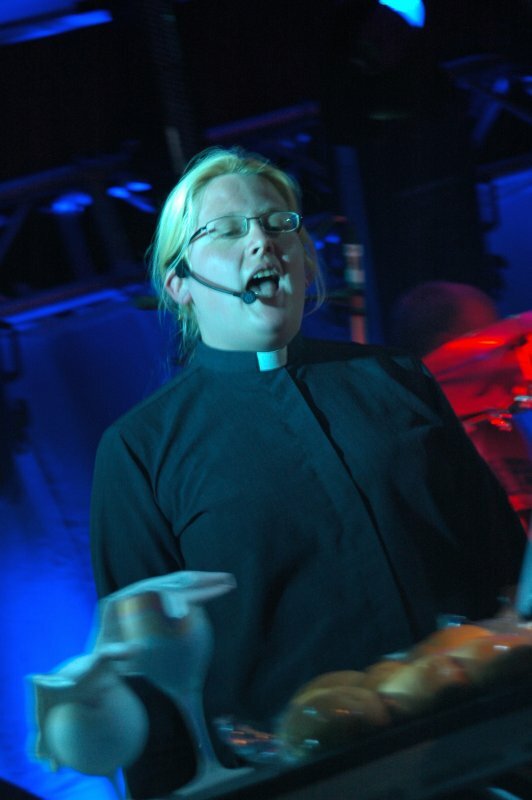 Since then, the RE has taken on a life of its own through its various versions, and Rachel has been a loud and enthusiastic advocate for the events in the church. She also became very much part and parcel of theREIGN family and we will certainly miss her insight, her humility and her desire to use this resource to bring God’s people before him in worship in new and interesting ways. As far as I am concerned, it was quite fitting that her final local event (she will be “guesting” with us in Warrington in March) should be an experiment. 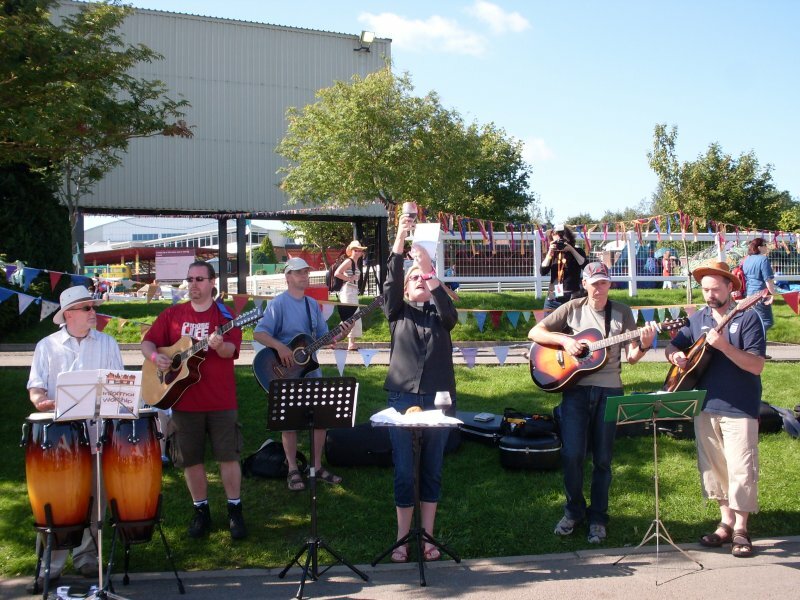 Alison Gilchrist, vicar at St Hilda’s Church in Greatfield went into the event without any idea of how it would be received, how many might attend – or indeed whether anyone would attend at all – or what impact it may have on her Church. 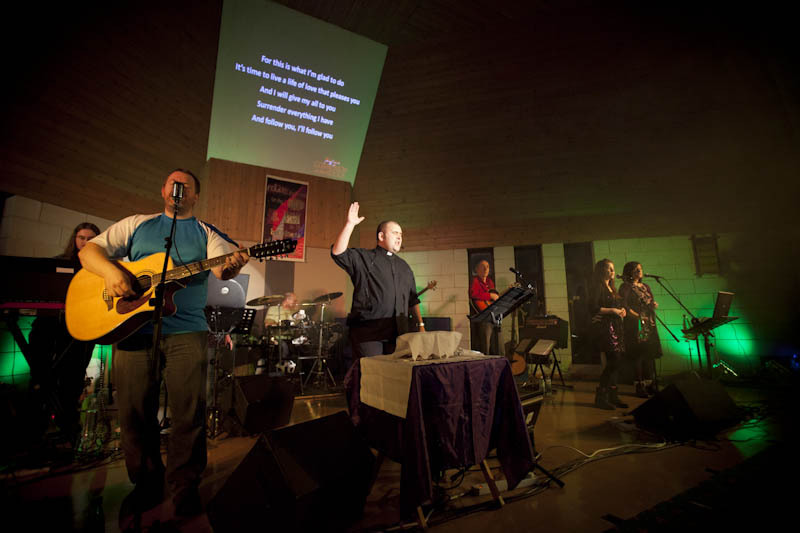 That, ultimately, is what the RE is all about – bringing the word and worship of God to his people in an accessible and reverent fashion … and sprinkled with famous rock riffs. Rachel, if you happen to read this, theREIGN would like to thank you, publicly, for everything you have brought to us, and brought us to, over these 39 months and 26 events. 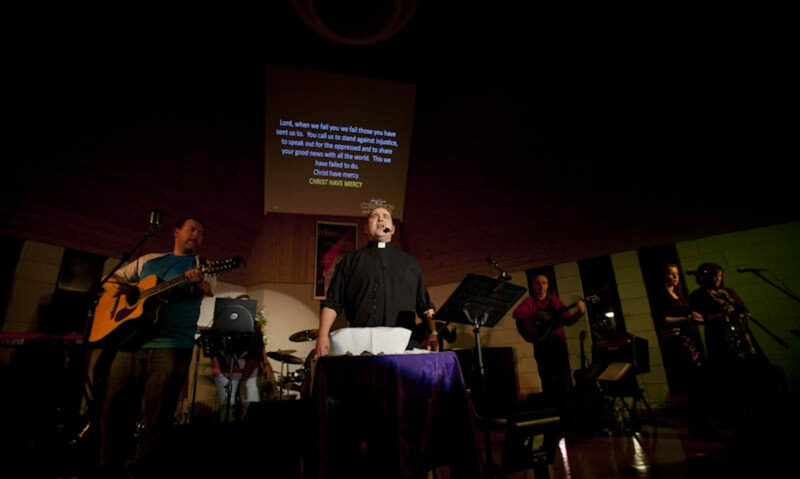 We will miss you, and we wish you (and Paul) every blessing in your new church and ministry. 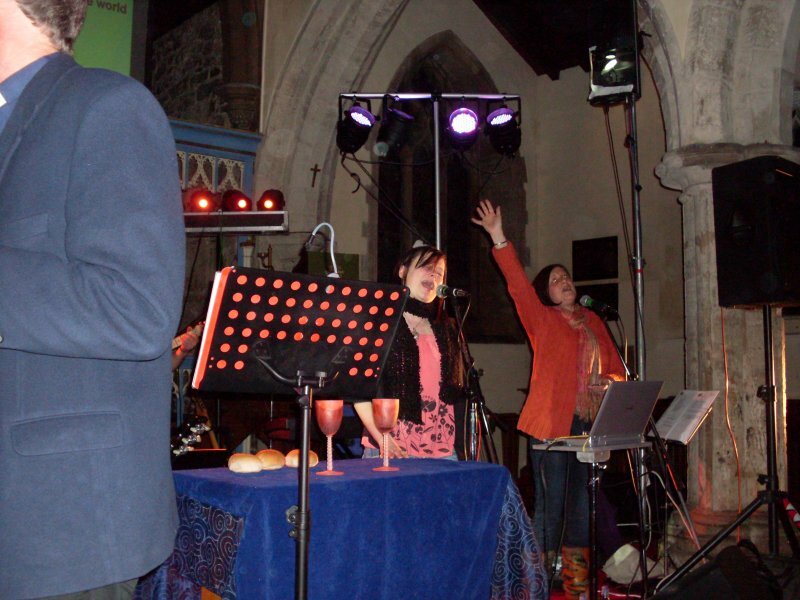 Autumn is always a time of change for Communion on the Rocks, as it is traditionally the season in which we introduce a new version of the event, and 2010 is no exception. Taking The Step (version 4) is to be debuted this coming Sunday at Sutton Methodist Church, which sees us step outside the Church of England for the first time and we are delighted to be able to join our Methodist Brothers and Sisters in celebrating Holy Communion together in this way. The new event sees some major changes, and some familiar favourites sitting nicely alongside each other, as we re-visit some of the most successful forms of liturgy from prior versions of the event, including RE2’s ever popular Eucharistic Prayer set to Blur’s Song 2. However, this year, far greater changes are afoot as we wish a fond, and somewhat emotional, farewell to Rachel Ganney, who has led these events with huge skill, reverence and flair for the last 3 years. See theREIGN’s Blog for further details about her and Paul’s move to the big smoke. Rachel’s are big shoes to fill, and handed that unenviable task is Revd Andrew (Andy) Simpson, from All Saints’ Church, Hessle. Whilst new to working with theREIGN, Andy and lead vocalist David Cooper have known each other for over 25 years and, truth be told, David’s life would have taken some very different turns along the way if that friendship had never existed. We welcome Andy into the fold, and time will tell whether he lives to regret his comments (immediately following attending RE2 at Greenbelt_08) that if we ever had a opening to lead the events, he would “love to do it”. He will make his debut leading the forthcoming Taking The Step event at Holy Trinity in Barrow on Sunday 21 November 2010. Please pray for Rachel and Paul as they begin this exciting new chapter of their life, and for Andy as he takes his own step into Communion on the Rocks.